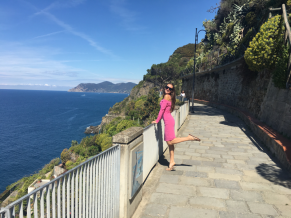 Walk to the train and take it to Cinque Terre/Vernazza! It is breathtaking! We climbed up the hillside and took amazing photos! We also ate lunch there under the umbrellas by the water. They had homemade pesto! Loved it! LaSpezia -Florence is too far away. But you can easily catch train from LaSpezia Central station to Pisa (Pisa S. Rossore station is the closest. Train schedule check trenitalia.com/tcom-en). About 5€ each way. Trip takes about an hour each way. 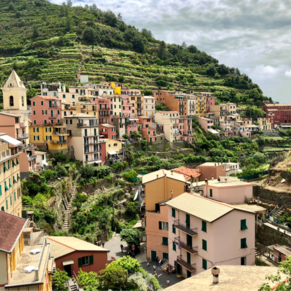 Cinque Terra villages are also another option by train that is not too far away. RCL offered free shuttle to take you off the peer into edge of town. Nice place to walk and visit locale cafe or stores. Major attractions are 1-2 hours from the port. Hiring car in advance or booking a cab is crucial as Florence is very far. Nothing opens in La Spezia before 9am so even if you disembark early and you don't have an advance booking then you will have to wait until shops open. 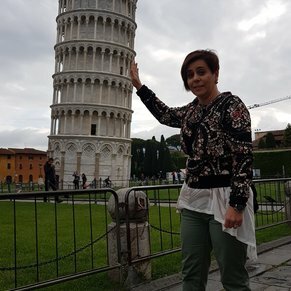 Pisa is an hour drive from the port. Florence is 2 hours drive from the port. 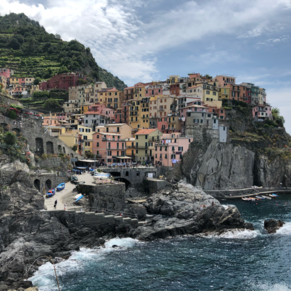 3 of 7 shore excursions in La Spezia, Italy. There are currently 0 discussions about La Spezia, Italy.